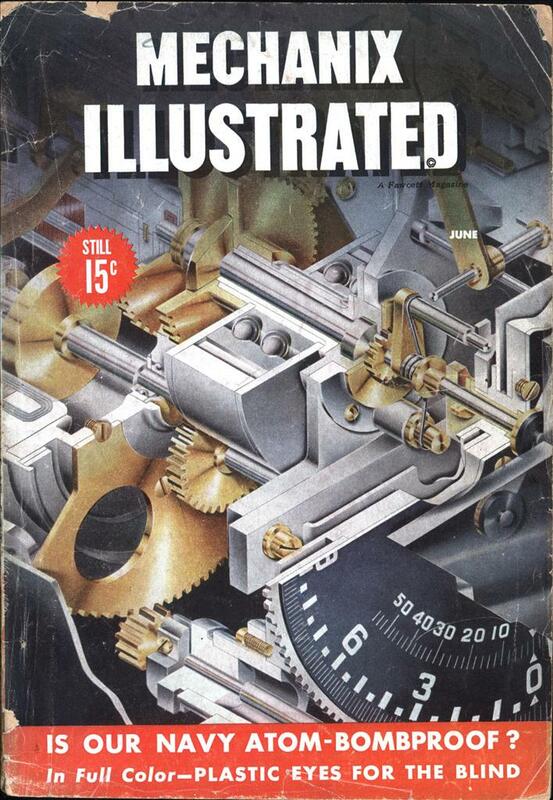 If you’re looking for a more thorough explanation of how a pinsetter works, this Pop Sci article from the same year is handy. Automatic Pinspotter invented by Fred J. Schmidt, of Pearl River, N.Y., is shown here with its inventor. The machine employs mechanical, electrical and suction methods in its operation. It performs all phases of pit work, including setting pins, sweeping “deadwood” off the alley and returning the ball to the bowler. 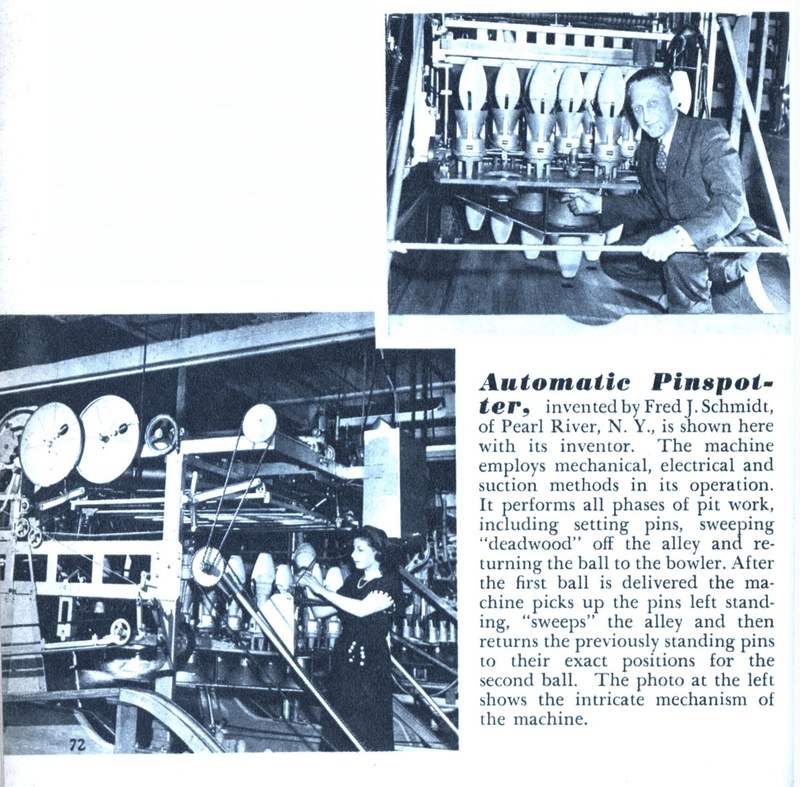 After the first ball is delivered the machine picks up the pins left standing, “sweeps” the alley and then returns the previously standing pins to their exact positions for the second ball. The photo at the left shows the intricate mechanism of the machine. Schmidt tried to sell his invention to Brunswick, who refused it. AMF however purchased and perfected the automatic pinspotter and became the only company with automatic bowling lanes until Brunswick succeeded in making a competing machine 10 years later. Judging by the picture.. That thing must have taken at least 3 mechanics , 2 electricians and a tool and die maker just to keep it working.